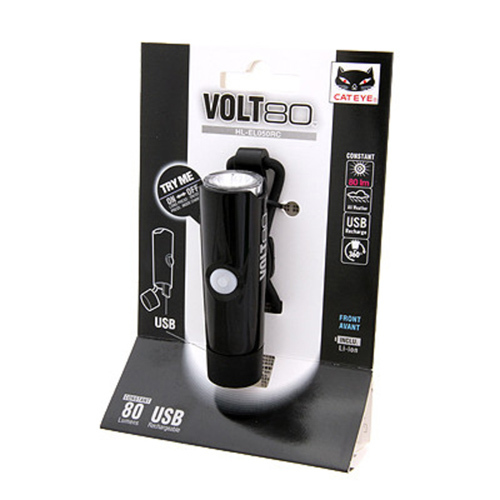 Volt 80 – From 1.5 to 5 hours. 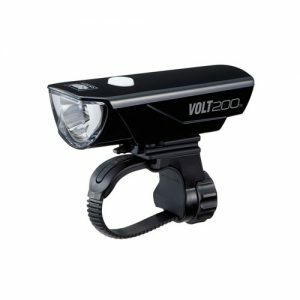 Light Modes: Volt 80: 2 modes. 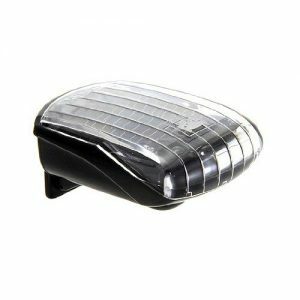 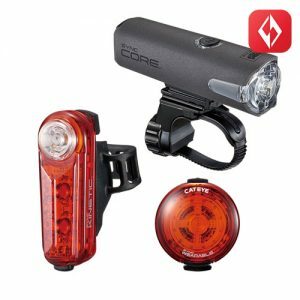 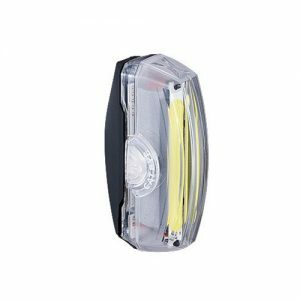 Micro Rear Light 4 mode. 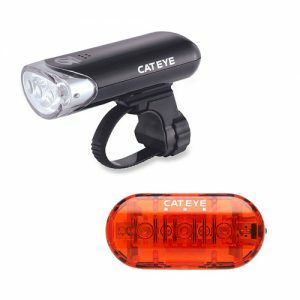 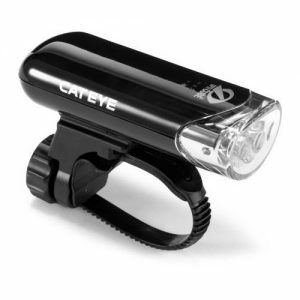 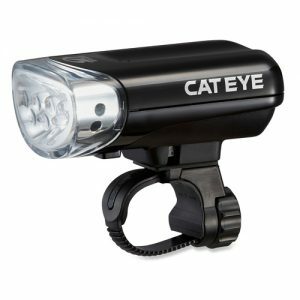 The Cateye Volt 80 and Rapid Micro is an ideal light set for the daily commuter. 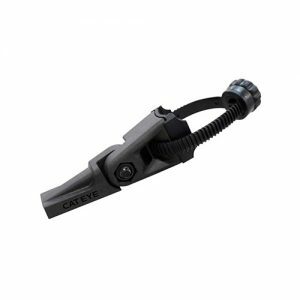 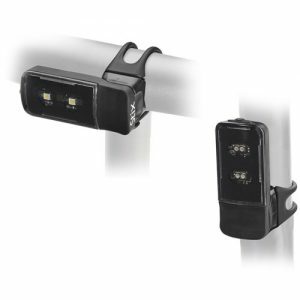 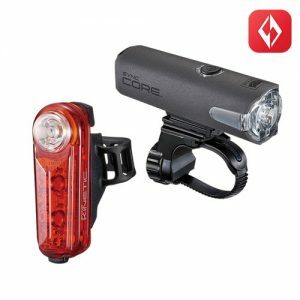 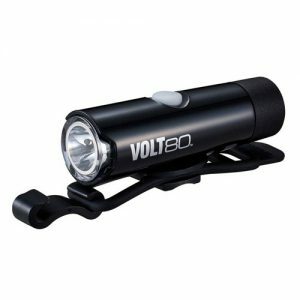 The rechargeable lights are easy to mount to your bike and also super easy to operate. 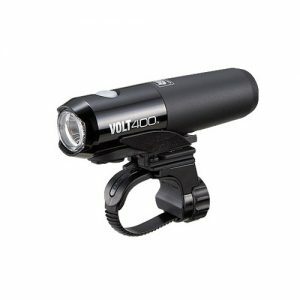 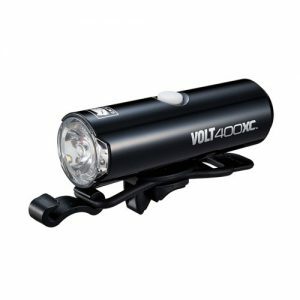 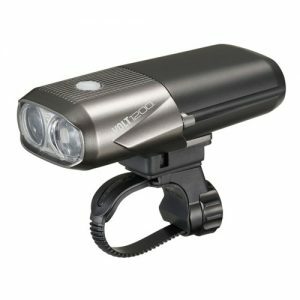 The Volt 80 boasts a sleek and compact body whilst producing a bright 80 Lumens. 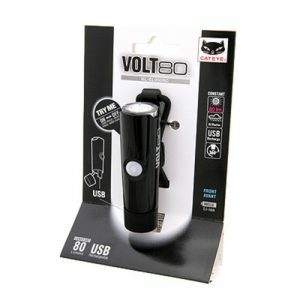 The Volt 80 is simple to charge, with a direct port simply plug the USB cable into your computer, laptop or USB wall plug for quick and convenient charging. 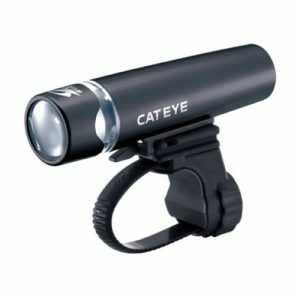 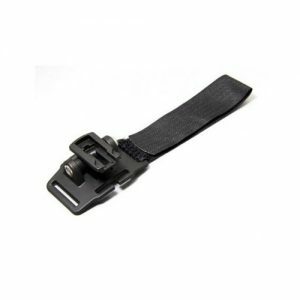 Coming supplied with a really simple rubber band and hook mount you are able to attach and remove the light from your bike in seconds. 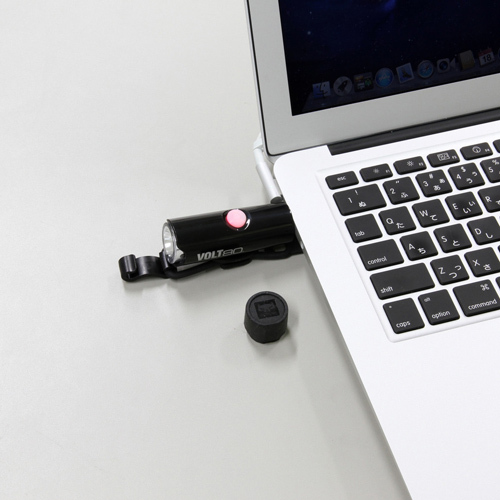 The mount can fit to handlebars of 22 – 33mm in diameter.